Advisor to Anupam Industries on an investment by Aditya Birla Private Equity. 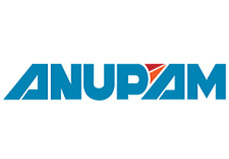 Anupam Industries Ltd, Anand (Gujarat) based leading manufacturers of Material Handling Equipment (MHE) has received a committed investment of Rs 50 crores from Aditya Birla Private Equity. The company will use the proceeds to fund its aggressive expansion plans in the backdrop of significant order flow from infrastructure and industrial sectors. Mr. Bharat Banka, MD & CEO, Aditya Birla Private Equity, will join the Board of Directors of the Company. Avendus Capital was the exclusive financial advisor for the transaction. Speaking on the transaction, Mr. Mehul Patel, Managing Director, Anupam Industries said, “Anupam has drawn up aggressive expansion and diversification plans which entail a capital spend in excess of Rs100 crores. We have a leading market share in India and plan to expand overseas in near future. An active partner like Aditya Birla Private Equity will definitely help us to speed up the growth momentum. The extensive network of our investment partners and their deep reach within Indian and international business zones will help us capture more business opportunities”. Established in 1973, Anupam Industries Ltd. (AIL) today is the largest manufacturer of industrial cranes in India. AIL’s product portfolio includes cranes used in industries such as power, steel, construction, manufacturing and ports sectors. The Company recently bagged the “Star SME of the Year” award at the Business Today-Yes Bank SME Awards 2009. Aditya Birla Capital Advisors Private Limited (ABCAP) manages over Rs675 crores and offers investment management and advisory services as Aditya Birla Private Equity to domestic and global investors. The Company has adopted a unique investment style of partnering with its portfolio companies by providing strategic and operational intervention and has its focus on growth investments in mid market companies, with India as investment destination. Aditya Birla Capital Advisors Private Limited, part of US$30 bn Indian conglomerate, Aditya Birla Group, is the investment manager to the fund and is led by Mr Bharat Banka, MD & CEO. Avendus Capital is a leading institutional financial services firm with strong transaction track record and relationships with corporates and investors. Avendus uses its unique domain and industry focused approach to businesses like M&A advisory, Private Placements for growing companies, Structured Finance Advisory, Equity Capital Markets, Institutional Broking, Asset Management and Private Wealth Management. Avendus Capital has been rated amongst the top 5 investment banks in India by Bloomberg. Avendus has executed several marquee cross border and domestic transactions for multiple clients in USA, Europe and India. Headquartered in Mumbai (India) Avendus has offices in New Delhi, Bangalore, New York and London.